Korea is a unique proposition for aspiring culinary students, in that the language barrier is significant – even prohibitive for some. Adventurous outsiders, who are committed to a diverse, multicultural culinary education might still take a stab at it, even without a thorough understanding of the language and culture. Good news for culinary minded students; there are English language schooling options, so South Korea must be put on your gastronomic map. 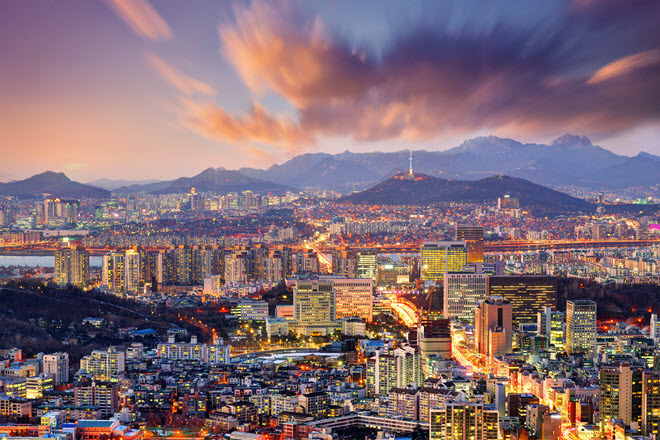 The rich culinary heritage of Korea cannot be fully appreciated from afar, and with the addition of a Le Cordon Bleu international campus, a comprehensive Culinary Arts Degree Program is at your fingertips in Seoul. South Korea has been a tourist destination and culinary outpost for years, but Cordon Bleu's arrival speaks to a growing hospitality and culinary industry that requires an even greater number of well-qualified chefs and professional kitchen staffers. Culinary arts is a global phenomenon, so educating yourself in world cooking and international hotel management makes perfect sense here. Traditional Korean food creates a unique gastronomy that includes once obscure dishes; now found squarely on the modern culinary map. Unusual food offerings include Kimchi, which could perhaps be designated as the national dish. It is a fermented vegetable dish, usually consisting of Napa cabbage and spices, though regional and seasonal variations use scallions, cucumbers and other vegetables. 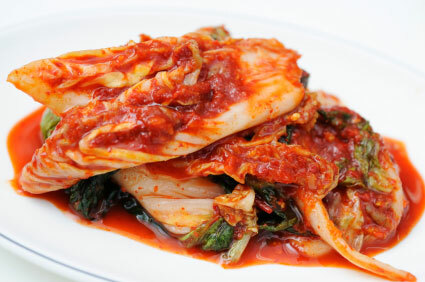 Kimchi is eaten alone or used as a component, to augment other ingredients. Fermented soybean paste is another national culinary staple called Doenjang. Once known only in Korean, the popularity of ancient dishes like these has spread through immigration and Asian-fusion inspired continental cuisine. Although rice and greens are equally as popular on the Korean dining table, where all dishes are served at one time, the piquant fermented components are the source of great international intrigue. One of the most unique food festivals in the world is the annual Gwangju World Kimchi Culture Festival, which draws visitors from all over the globe. Wherever you earn your chef's whites, it is important to sample the most noted local dishes; and whenever possible, to interact with the culinary masters of the region. The kimchi fest is such an opportunity, where local chefs put their best feet forward for eager foodies from near and far. Academic emphasis is placed on the unique dish in seminars and demonstrations that play to the healthful benefits of kimchi, and take the mystery out of how it is made. The festivals is a cornucopia of food exposures for students, including a ‘food district' comprised of restaurants, markets and multicultural purveyors of unusual ingredients, and finished dishes. An intensive exploration of Korean cuisine turns up a tapestry of ingredients and cooking methods. Side dishes like kimchi and others are called “bachan” and accompany every meal, often in great numbers. Main courses are grilled or stewed meats, noodle dishes or steamed greens and vegetables. Pork, beef, oxen, and chicken commonly provide the meals' protein. Dishes are flavored with soy, red chili paste, green onions and fish sauce. Seasonings are at times sparse; to let natural flavors come to fore, and in other instances spicy and complex. And don't be surprised to see raw octopus or squid show up on your plate - raw foods are a staple in the Korean diet. In addition to the formal curriculum of Le Cordon Bleu, check out the options among small, vacation cooking schools. You'll find a number of educators that offer some form of English-language cookery classes in South Korea. These are designated as pleasure outings for serious amateur cooks, but for professional chefs, they are continuing education in its most immersive form. Le Cordon Bleu-Sookmyung Academy, in Seoul, marks LCB's presence in a territory formerly lacking this type of international partnership. Sookmyung Women's College is the host school for the Le Cordon Bleu academy. The Academy's commitment to the preparation and training of the next generation of Korean master chefs, is evident at every turn. The distinguished school promotes the enduring classical French culinary tradition alongside other major international cuisine, simultaneously putting forth a rigorous hospitality management curriculum. 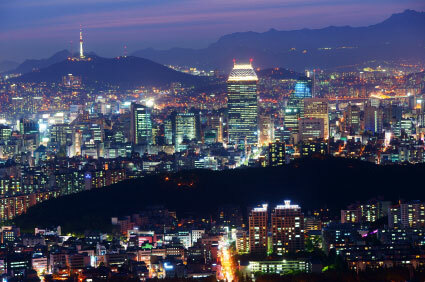 On the Seoul campus, degrees are issued in Culinary Arts, Pastry Arts, and Hospitality Management. Institute of Korean Royal Cuisine – This interesting entity provides the following services for parties interested in Korean food. Food and Culture Korea– A partnership with the Korean government brings a tourism-stimulating approach to Korean culinary education. Classes are designed for food enthusiasts who want to take a piece of Korean culture home, in the form of culinary abilities in preparing Korean specialties. A great resume entry for chef tourists.